The best original score nominee delivered a unique look at the 2017 Golden Globes. See the Hottest Golden Globe Looks! 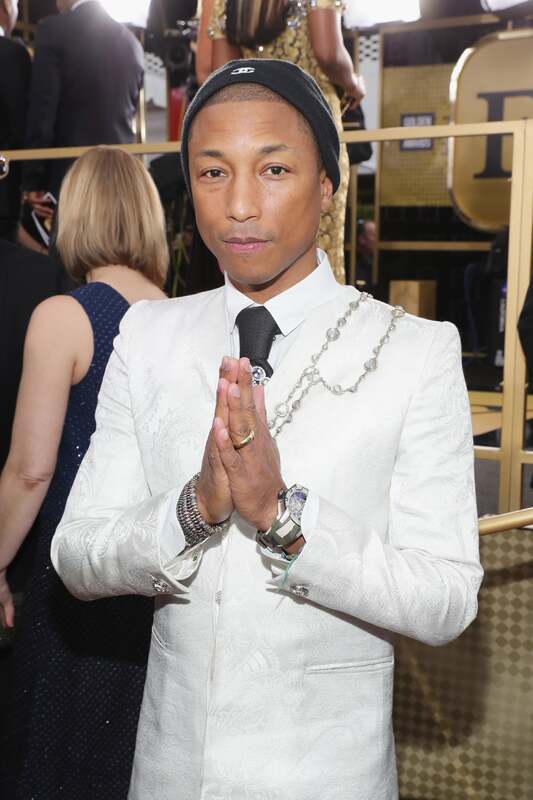 Pharrell Williams proved once again at the 2017 Golden Globes that he’s the master of conversation-worthy style. The super-producer and best original score nominee for his work on the ‘Hidden Figues’ soundtrack rocked a longline, all-white, subtly printed jacket with a beaded sash and black pants. Showcasing another style talent of his, Pharrell paired the look with a cool, slouchy black hat offering up a classy, pared-down moment. Williams’ looked as cool as ever as he posed on the red carpet. 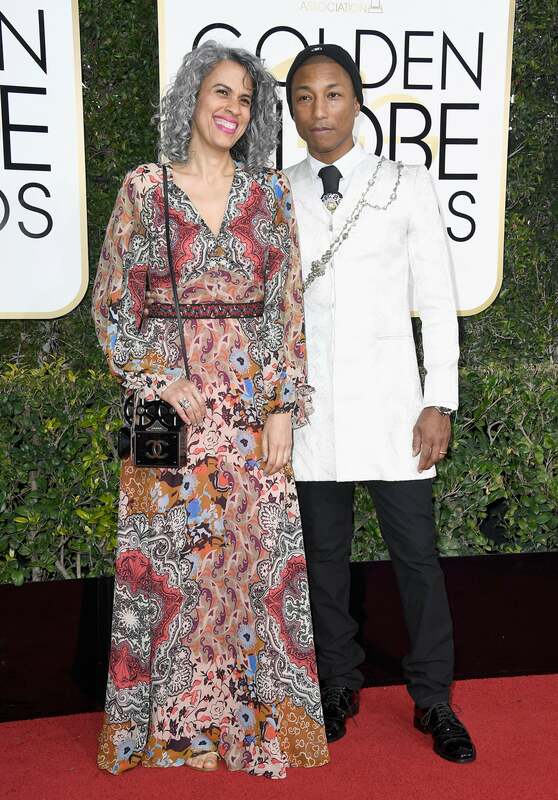 Pharrell has been experimenting with different looks lately so it seems as if this is just another step in that direction.